When I was in my 20's, St. Patrick's Day was all about day drinking. I went to graduate school in Savannah, GA, which has one of (if not THE) biggest St. Patty's Day parades and festivals, and we'd start at 7am and go until well after dark. I can't hang like I used to, so St. Patrick's Day has morphed into maybe (mayyybeeee) going to the Dallas parade where one or two drinks is consumed, making this roasted corned beef and cabbage recipe, and calling it a day. Oh, adulthood. 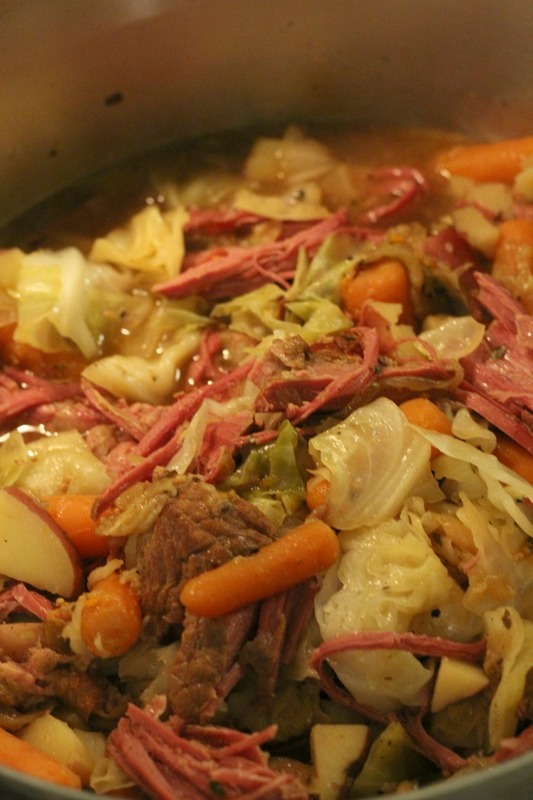 Here's the thing about corned beef and cabbage: It CAN be really, really good. But if you take the raw meat and put it right in some boiling water (the traditional way to make it) it's gross. 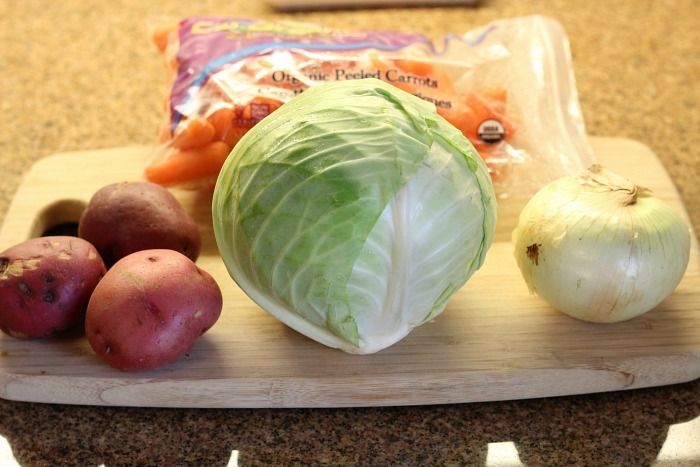 When I told my husband I was going to make corned beef and cabbage, he wrinkled his nose and said, "Um, I'm not a cabbage guy", indicating he was not going to eat it. After I browned it, roasted it with some veggies for two hours, and then boiled it with the cabbage, he literally ate three bowls of it for supper. This method of roasting your corned beef and cabbage really brings out the flavor! And the meat gets fall-apart tender. Make it this year as you celebrate the luck of the Irish! 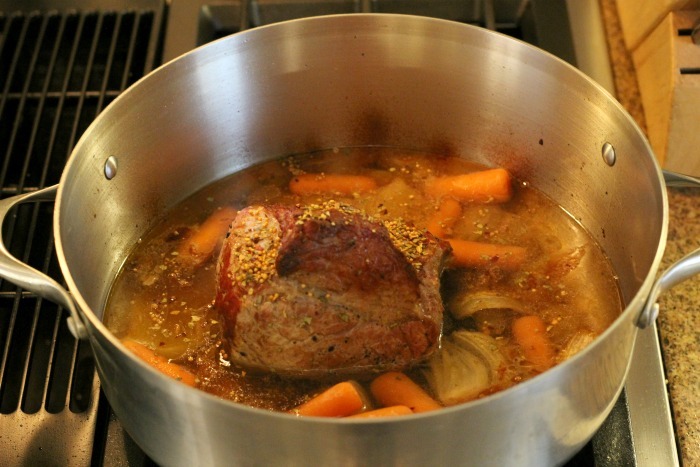 In an oven safe dutch oven (I use and LOVE this one - this is my most used pan in the house! ), brown the brisket in the olive oil on high heat. Depending on how your meat is cut, brown as many sides of the brisket as possible. 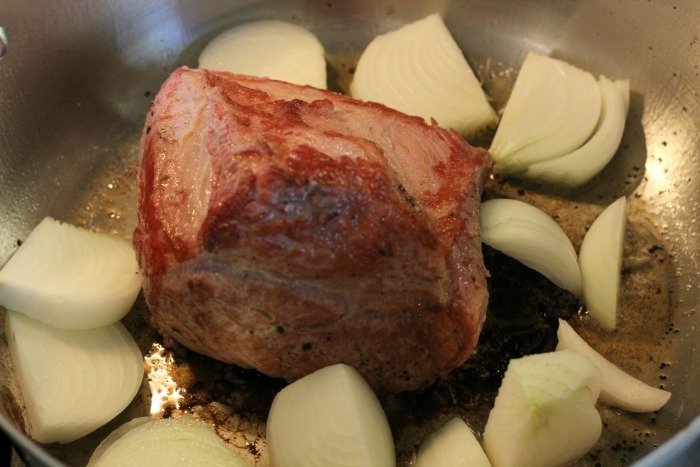 (I had three sides that were large enough to be browned on the cut of meat shown in these photos, for example.) Salt and pepper the brisket as you brown it. Heat oven to 325. Once the meat is brown, add the onion. It's ok to leave it in large pieces as it will cook down. Bake for an hour, then add one of the diced carrots or one handful of the ready to eat carrots, and roast for another hour. After two hours in the oven, put it back on the stove over medium-low heat. Dutch ovens are awesome for their ability to go from stove top to oven and back, right?! Add water enough to cover the brisket half way, and add the corned beef seasoning packet. Cook covered for another hour or two, until the meat falls apart with a touch of a fork. Once tender, add the remaining carrots, potatoes and cabbage. Cook until the veggies are tender, about 30 minutes. Want more cooking tips? 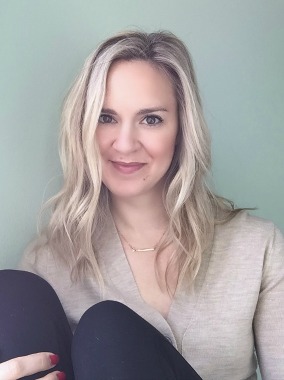 Check out my Products I Love page! 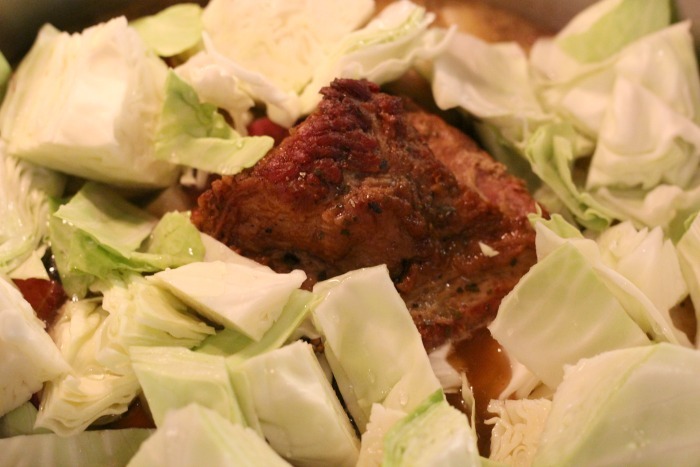 It's not a quick process to make this roasted corned beef and cabbage recipe, but the nice thing is that you can get it started, head out to a St. Patrick's Day parade, then come home and finish it up! The roasting adds loads of flavor and adding potatoes and carrots makes it a bit more substantial and more like a complete meal. Which may be necessary if you're pretending you're Irish for a day. Enjoy! I wonder if I'd like that! The other day I was SO excited to make a southwest salad... I was pulling out all the stops. Finished the salad, tossed it. John picked up a piece of lettuce. It was cabbage. You'd think by now I'd know the difference... and I do. But apparently I just put the blinders on that day. Oh gosh, thinking of college St. Patrick's Days terrifies me now - so much drinking, so exhausting. I LOVE corned beef and cabbage and totally agree that the traditional way of cooking it is not best. Yum, can't wait to make this. This sounds so flavorful! I actually love cabbage haha. I was a weird kid and snacked on the leaves! This sounds like such an awesome make ahead meal too! Probably is amazing as leftovers as everything soaks! I'm so hungry right now. This actually looks delightful! Recipes with edits can sometimes turn out for the better, as it did with yours! I want to try to make it now! I love cabbage, the flavor is so rich to me. I usually do some sort of cabbage soup for St. Patrick's Day, but had no idea what kid i was going to do this year. I am definitely going to try this out! I love corned beef and cabbage! I do a corned beef and cabbage casserole and it's so good! I'll ask the hubs if he wants to try this for his bday this year (it's on St. Patty's Day).